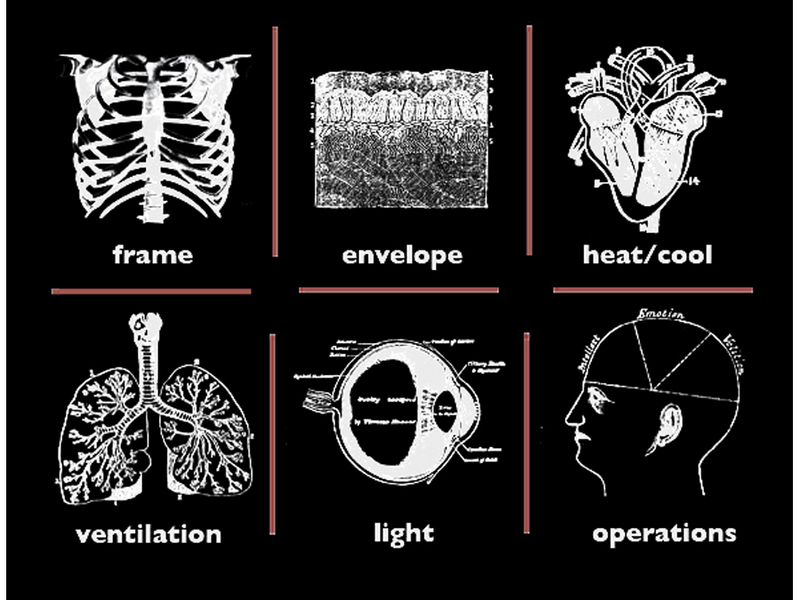 After many years of renovating old homes and commercial buildings with a focus on energy efficiency, we have found that the human body is an apt analogy for the home. 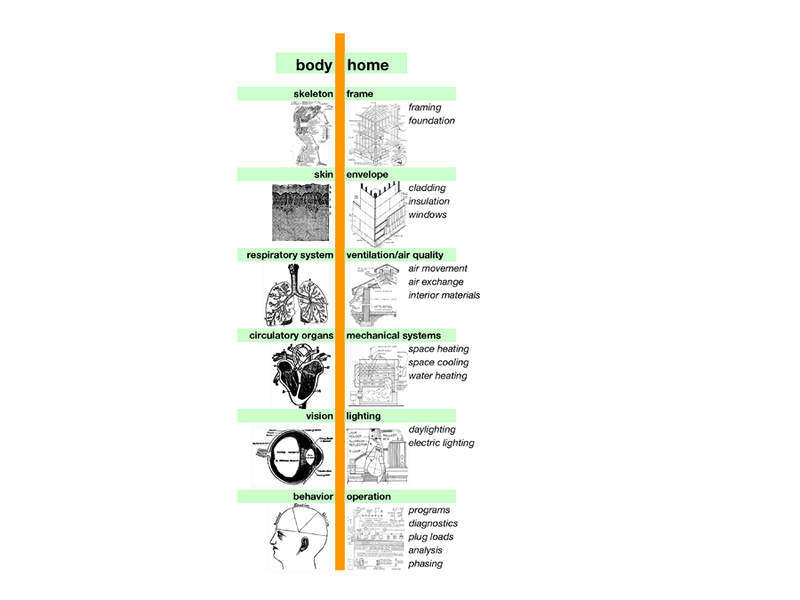 The home, like a human body, is a complex system that should be approached in a holistic manner. Green building decisions are based on technological applicability and cost/benefit comparisons, as well as aesthetic implications – from finish material choices to overall house orientation. 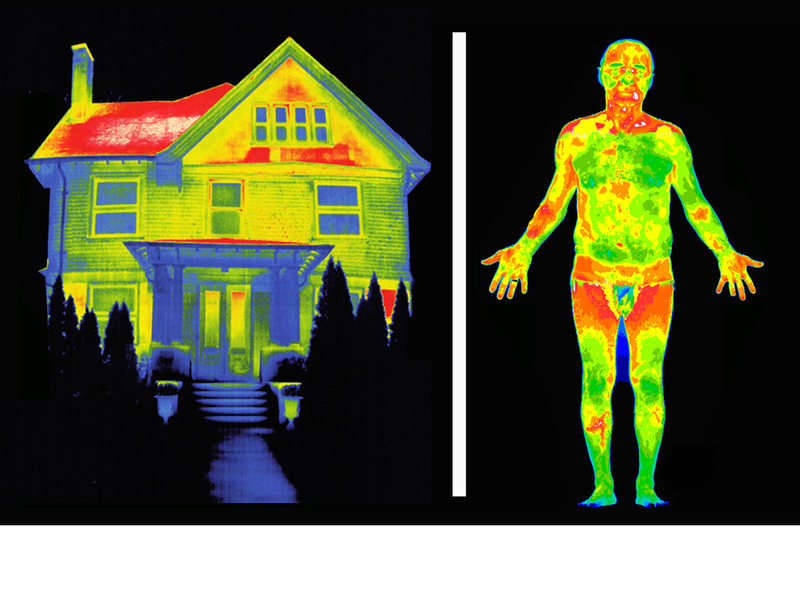 Smart, environmentally responsive design offers the opportunity of creating beautiful, sustainable homes. 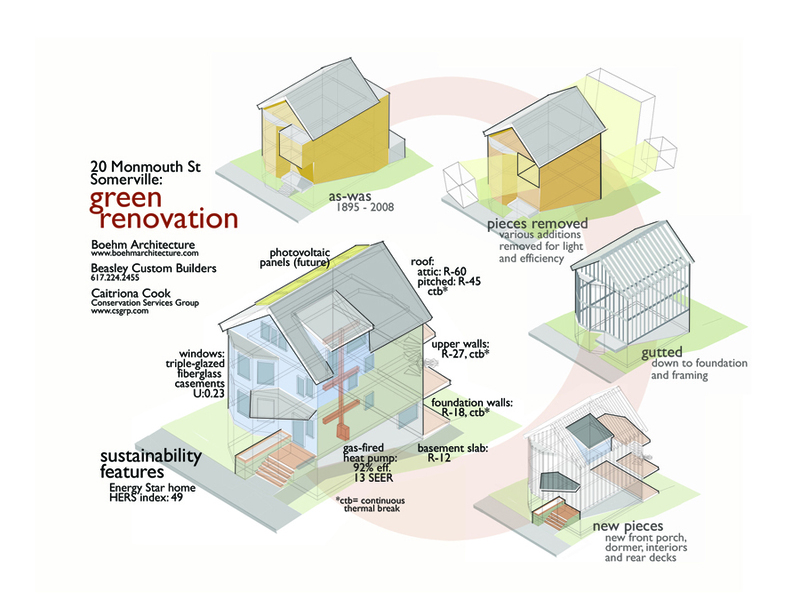 These diagrams have been created for public presentations and seminars to help homeowners and building developers understand fundamentals of green design.